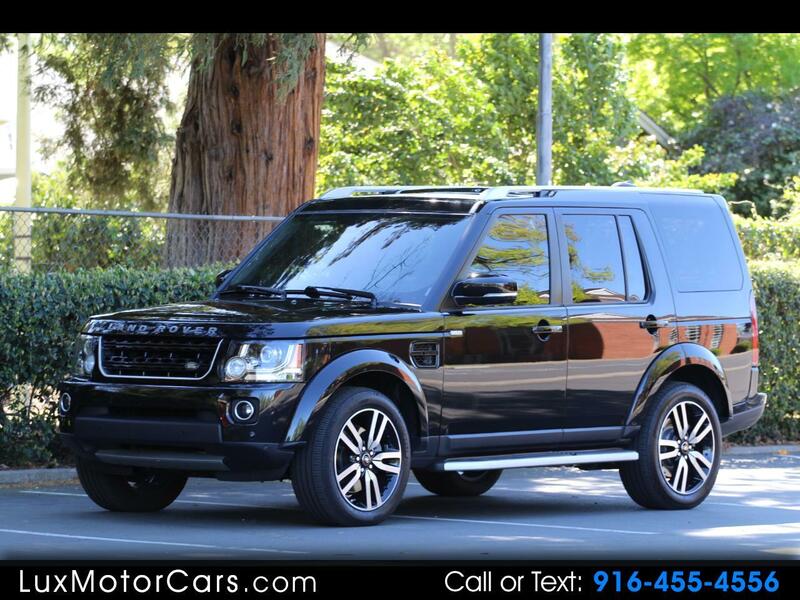 Luxury Motorcars is proud to offer this one owner, well maintained Land Rover LR4 in the very limited Landmark trim edition! There was not an option box left unchecked, with this vehicle having the following options: Surround 360 cameras, BSM, Reverse Traffic detection, Adaptive Cruise Control, Tow Assist with Hitch, Navigation, Front park Distance Control, 17 Speaker Meridian Sound system with Rear Entertainment System, Power seats with Driver memory for the seat, mirrors, and steering column, Windsor Leather finished in Ebony, 20 inch Diamond Turned Alloy wheels, Heated windshield, steering wheel, front and second row seats, and a cooler in the center console for food or beverage storage! This particular Rover has spent it's entire life in Northern California, where it was maintained by the local land Rover dealership. If you want to stand apart from the crowd, then this Landmark Edition LR4 just may be the SUV for you!